Having fun and playing games shouldn’t just be for kids. At American Family Fitness we believe that everyone should be able to take part in their favorite sports activities, no matter their age. Come play today! Have you always loved to play basketball, volleyball, or racquetball? Well, now you can keep the game alive with the adult sports leagues at American Family Fitness in Short Pump. Just because you aren’t a kid anymore doesn’t mean you need to stop playing the sports you love. Stay healthy and fit while having a blast and hanging with friends. Sign up now! Is basketball one of your favorite sports to watch and play? 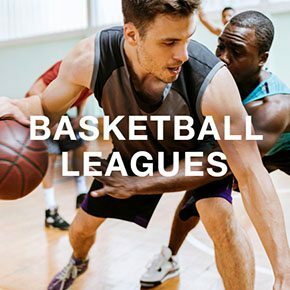 With the adult basketball leagues at our gym in Short Pump, play the game on our full court basketball court. League play happens twice a year and runs for 8 weeks. The basketball court is also used for volleyball play at our gym in Short Pump. 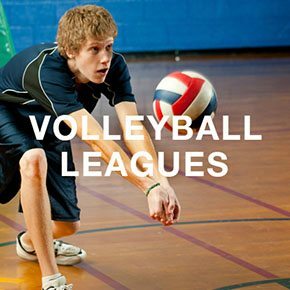 Join the adult volleyball league and get back in the game once again. You can get fit while playing a sport that you love. Do you miss the heart-racing feel of competition? 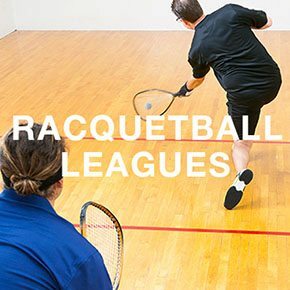 With the racquetball leagues at our Short Pump health club, you'll find constant action with this full-body sport. Rackets, goggles, and balls are available for rent at the Welcome Desk, if needed.